Dial customer service at 877-258-2311, this seems to be the main number for member services for NYSC and their branches in Boston, Philadelphia, and Washington. You can use the official contact form on their website to take a survey about your experience or leave feedback. The company is also quite active on social media. So, if you do not get a response by phone or email you can connect with them on Twitter or on their Facebook page. New York Sports Club was founded in 1973 of course in New York City, and grew throughout the Eastern United States. Town Sports International Holdings now serves as the parent company for the different regional brands New York Sports Club, Boston Sports Club, Philadelphia Sports Club, and Washington Sports Club. You can contact their complaints email address at memberservices@town-sports.com. TSI Holdings at one point owned over 120 clubs in the great New York/New Jersey area and over 155 clubs total, but the company has struggled in recent years with declining membership numbers, troubling customer approval ratings, and losses. The company reportedly lost $69 million in 2014. Their corporate headquarters address is Town Sports International, 5 Penn Plaza, New York, NY 10001.
i and my daughter and my cousin have been a member of the NY Sports Club at the Atlas Mall in Glendale NY 11385; i have been complaining to the front desk since December about tread mill machines not working; TV's not working. today April 15th, 2019 there were 6 tread mill machines that were out of service; the one's that were working there were no TV's on 3 of them and 3 other working tread mill machines the TV's were not working. on the bikes most of the TV's don't work. i think this is a disgrace that no one is making an effort to have these problems resolved. i went to the front desk again and the manager was not there and the person behind the desk gave me the manager's business card. i think Corporate office should have personnel come visit there facilities and see what is going on and i would hope corporate office will make this facility a better place. Around one month ago I was stopped at the front desk of NYSC Greenppoint , they scaned my id card # 0009003071 and they said im not a member. Facility manager told me that there was some problem with Credit card and I wasn't charged since September …..he didn't want to charge me and said that I have to wait for a bill. I never received any bill and today March 13 2019 Collection agency called me regarding payment. I was coming to the club for 6 months and nobody let me know that there is a problem with my payments. I payed to collection agency $154 today using my credit card ....which i could pay you directly if any of you let me know about the problem. I work out at 34th and park. Most of the machine in that gym has been working improperly for months. 95% of the TV screen do not work. I usually come in and use the elliptical and use the TV screen for the music while I work out. None of the music station in any of the machine work. I spoke to Christian, the manager on several occasion about this issue. Christian promised that he is working on fixing these issues. In the meantime to alleviate the situation that he will credit me for the month of January and possibly February but to please be patient. I told him I've been patient for months but I'll give him a chance to rectify this situation before I cancel my membership because it doesn't make sense for paying these monthly dues and I can't get a proper work out in. I came into gym last night to take a yoga class and work out on the elliptical. The lady at the front said my account was past due bc a change of credit card from January. I Iola her no problem , I'll take care of it after my workout. The machine I wanted to use was still not fix and still none of the TV monitors for the music was fixed. At the end of my workout, I went to the front desk to update payment. I was shocked to hear that it was $286?!?!? I paid my December bill, January was supposed to be credited, etc. how is this possible?? I called the manager Christian this morning to ask him what is going on with this bill and that the machines are still not working and that I was suppose to be credited for January and February ... now he is claiming he did not say that and all the machines are working , which is false and started to raise his voice at me and I felt like he was becoming belligerent and unprofessional. I would like this matter to be resolved asap or I would like to cancel my membership. NEGATIVE TEN STARS***Croton on Hudson Club. I have been requesting an invoice for last year since December. I have been given a complete run around. I was able to speak with Craig Scialdone for the second time today ONLY because I saw him in the parking lot, otherwise, his calls, emails and visits to the Croton Club have been IGNORED. Please let me state that I have been told this is difficult, I am trusting this does not mean impossible as I have paid in full and my request is NOT unreasonable. I would also like to personally speak with someone in your organization regarding the treatment I have received. There are many details which this note does not address and I would hope someone in your organization would recognize the importance of my complaint and would want to know how club members are being treated. I contacted you about an assault by another member in your marlboro location. Clearly you think this is ok as I have heard nothing from you since making you aware of this. Today I go to work out to find that 2 other members are spreading malicious false rumors about me. Josette grosso and Alissa ferrante- Kaye are stating to your management I am having an affair with another member. This is completely untrue and totally unacceptable. I use the gym to workout and expect to do so without these kind of distractions. I am already in the process of filing with the court over the assault for wihich there was a witness too. I would hope the club looks into these issues. This is really getting out of hand and needs to stop. I would appreciate a follow up on these issues as to what will be done. I pay monthly is $80 for a broken place. In Hartsdale the heating system is broken in December. The basement floods out periodically and is closed. At least half of the cardio equipment like cross trainers, spin bikes, treadmills, stair masters and spinning bikes are in broken or need some type of repair. The pool in White Plains is closed again because of ?..There is no heating on pool deck. The Yorktown club pool is closed as well. The turn over of Hartsdale is high. Many of the TVs on the machines are broken as well. I am shopping for a better club for less fees. I was told that instead of repairing broken equipment, the new policy is to replace them. I was also told by the manager of east 71st street that these replacements will not happen until September 2019, so members have to wait almost a year for working equipment. Eight machines have already been broken for over two months. How about fixing the machines so we don't have to wait a year to use them? I cancelled my membership in September. 2 months later I am seeing a $59.99 yearly 'membership' charge + a $15.99 charge for a gym membership from them. I called and they said it is impossible to reverse. I always pay all my bills on time, but it is plain theft to charge people for a service they no longer use. I have been renting a locker at the mercer street NYSC for a number of years. According to members and staff unrented locks were cut this past weekend. My rented lock was cut (this is the third time). When I arrived this morning after being away for a week, I could not open the lock on my locker with my regular key. The attendant cut the lock and what we found was that while they were in progress of removing the items stored, they apparently realized the locker was being rented to me and stuffed the items back into the locker. Those items which could not longer fit were thrown out. They took another lock from inside the locker and placed it on the locker. You would expect that they would have put a note on the locker that the key would be in an envelope at the front desk. PLEASE COME UP WITH A METHOD TO IDENTIFY RENTED LOCKERS SO THIS DOES NOT HAPPEN AGAIN! AND LET ME KNOW HOW YOU INTEND TO COMPENSATE ME FOR MY LOSS AND AGGREVATION. NYSC has a bad enough reputation without members being abused. Unfortunately I cancelled my membership because the prices continue to increase without services to match it. Steam rooms don’t function properly, a rat crawled out of the toilet in the ladies restroom downstairs, classes fill up way too fast and I was not benefiting from this gym in any way. The only class I could get into and enjoyed was boxing. Another reason I cancelled my membership is because when I had questions regarding the pricing of my membership I was placed on hold for 20-30 minutes waiting for Ricardo Ortiz to take my calls. He never answers his calls and I was told that he left or was in a meeting or not in his office. I was only able to reach him via email. The customer service at this NYSC City Hall location is non-existent. When I came in to cancel I was not informed of the 45 days it would take to cancel nor was I informed of the “pro-rated amount” would be. I also was not informed that there would be a cancellation fee to which Ricardo Ortiz was very smug about. I will be taking my business to Blink down the street for a fair price and better customer service. This is the worst gym I’ve ever joined. I had to cancel my membership due to a job change. No one alerted me as to the 45 day cancellation notice, after speaking with 4+ people (including the GM of my club's location). The GM took days and numerous follow ups to get back to me regarding my concerns and never called me back. I was never sent, nor did I ever sign, a contract when I joined the club. I should not be liable for this 45 day cancellation notice, especially in light of the fact Lakisha Jones at Rockefeller Center took almost a week to respond to me, after going to see her in person. Never, ever, would I recommend this club to anyone after the way I was treated. As a current employee for the company since 2015. Actions that I have experienced have been unethical. An employee was helping out an general manager in another location that wasn't her home club with coverage, when finding out that she was terminated without notice. This employee has done nothing wrong to receive any actions like this. The general manager claimed that she has reached out asking if she wanted shift when that was never the case. The employee's shifts were pulled away with no explanation as she never stated that the shifts were only temporary. The general manager of another location asked if she could permanently take the shift that she covered. They stated that only working one shift a week isn't acceptable but, that was the only proposition that was given to her. That statement isn't valid because there are employees that only work one or two shifts every week. This general manager I feel is being racist towards her because of how she identifies herself as part of the LGBT community. I am very disappointed with the company. As what has happened was unethical, I don't want to see the same happen to another employee. What is going at this facility? After the incompetent female who was the Manager for so many years, we now have a new set of managers who are following her footsteps. Can we please have a working handicap shower with a new more sturdy shower head that will not break as soon as it hits the wall or the floor? Can we get a shower head hooks at different levels so that they can be accessible to everyone? Do I really have to complain to corporate headquarters for this? Apparently I do. Well what prompted this complaint was the fact that I had wait over a half hour for the pool to open...9:55AM to 10:30AM. Is it just me that thinks that a pool that is supposedly open at 5:50AM is closed at 9:55AM? This is just typical of what goes on in this facility. Dwayne the Sales Manager just looked at me and smiled on my way out after I asked about the situation with the pool opening. There seems to be corporate culture of apologizing on queue and yet no action taken. Just like the Transit Authority. Lockers that remain broken. Lockers with the same locks on them for weeks and months at a time. Clueless managers and no oversight by area manager, Jeff Arnold. We weeks with no hot water. Equipment broken. Toilets that don't work. Bathroom faucets and urinals that do not work. I had to notify the management that there was mold growing near the swimming pool. Does anyone walk the facility and check things out? To be fair, I will not blame the employees. They are hard working and unfortunately work with managers who are lacking basic managerial skills. Really wish I'd read reviews before signing up. Currently in the process of cancelling due mainly to deceptive practices. The women's locker is also filthy - used towels everywhere except in the bin, empty soap dispensers, paper towel roll on the counter instead of in the dispense, and (most disgusting) the paper backing from a personal hygiene product left in a wide open locker. I'm hoping to get out of this with a refund, or at least no more payments, quickly. Huge mistake. Only go if you work in the building and want convenience, just don't expect much and do not listen to any sales pitches. Just go in, work out, and leave. Buyer beware. The Jersey City facility has been in disrepair (both equipment and building) for well over 1 year. Supplies such as soap and paper towels are consistently missing, the locker rooms are a mess and despite multiple discussions with management (including Alla and the corporate office), very little has been done to rectify the situation. The multiple managers of this gym have very little concern about the members and are quite rude. I was also promised, 2 months ago, a refund due to the fact that the gym was not opened on time (5:30am published time) on multiple occasions this year. This refund has not come through and I've been left with no other choice but to quite the gym and join one of your competitor gyms. As a 10+ year NYSC member I found a conversation initiated today by a male NYSC 73rd St. attendant very upsetting. I alway follow NYSC protocols especially re what to and not to wear when in Steam Room/Sauna. Today a new patron wore clothing into the Steam Room. I chose to say nothing to her or the front desk yet, was shocked to learn, as I was leaving, that the lady had complained about me and my towels. As a former dancer, I find the Steam Room & Sauna beneficial after a strenuous workout. So this situation was particularly distressing. It could have been avoided had NYSC posted a sign dress (or undress) protocol in NYSC Steam Rooms/Saunas. The pool is shut for two days until Wednesday, October 26, 2016. No explanation for the shutdown is provided. I came this morning (October 24th) to swim laps. Upon arrival in the parking lot (which requires payment for the parking space) I paid the fee. Only then, after I had taken the time to travel to the club and paid to park, was my attention drawn to a note taped to the entrance door indicating that the pool is closed for the next two days. Why weren't members informed by email that the pool would be closed? Why wasn't the note indicating the closure displayed at the machines where payment for parking is collected. Why is no explanation provided for shutting down the pool? It is understood that there will be maintenance shutdowns occasionally. It is inconsiderate and insulting to the membership that this closing was not communicated to us so that we could plan our workout differently and avoid the parking lot. Instead the manner in which the needs of the membership are being disregarded has resulted in a waste of time and much inconvenience. It doesn't take great effort to send an email to members, or to place a closing notice where it can be seen before members unnecessarily spend their money on parking fees. The way the New Rochelle Club management handled this lack of communication does not make sense. My son decided to check out New York Sport in Bay Ridge Brooklyn on August 16. He was asked to fill out a piece of paper with his name, address, phone number and e-mail address. He was asked for a credit card number ( I gave him mine ) and was told that he would be charged $25 monthly for his membership because he his 17 and a student. He has been there several times with his friends and never been asked anything else until he finally met the Gym manager that told him he had to pay his dues in order to work out. To make this ordeal short, after trying to speak on the phone with the manager, I was told that I had to pay $84.99, 2 late fees included. My son was never given a membership agreement to sign, never explained the annual fees and never contacted since August 16. After I finally went to the gym myself, the manager wouldn't believe that my son never signed the agreement. He finally produced an agreement with the wrong address and not signed but still would't waived the late fees. Really a bad experience. I have had many issues at NYSC Syosset regarding the male trainers and their disgusting, misogynistic treatment of women. I have heard trainers talking about peep holes, the most strategic places in the gym from which to ogle women. I have overheard conversations between male trainers and their clients discussing if a woman would be willing to do them. I have had a male trainer come up to me very close and act like he was going to kiss me. I have complained about this behavior and it has improved, I still have a problem with male members staring inappropriately at me. Today I was dead lifting and a male member would not stop staring. I couldn't concentrate. It was exceptionally bad. I complained to the manager Gloria. She said she would talk to him. My issue is with her attitude about my complaint. Her first response was "why didn't you just move?" This response takes the blame off of him and puts it on me. Incidentally, I was lifting almost 200 lbs; picking up and moving would not have been so simple. When I told her he was smirking after he realized it bothered me, she said "sounds like my husband, he knows something bothers me yet keeps doing it." I don't think this response is appropriate. I think your management needs to take complaints of this nature much more seriously. Her response leads me to question her seriousness regarding addressing this matter. This is not the first time I have been frustrated with the patronizing, glib response of your companies management. It would be nice to be taken seriously. I am a longtime member and deserve more respect than this. I hope she speaks to him and follows through. I would like some feedback from you. I have never been humiliated in my entire life like the way general manager Shaheem Taylor treated me in front of customers. I will never want to go to nysc as they don't know how to choose their managers. I know no one cares & no wonder they are loosing business. He is disrespectful& in educated. I've been a member for a little over a year now and there is no wifi available. I've been told before by a receptionist that wifi will be available soon. I think for the price we are paying as customers, wifi should be available. Was treated in an unethical way by this club. Never going back again and asking customer service for a refund. Why is Queens experiencing a towel shortage? What a joke. So I started a new job and was looking for a gym in the neighborhood to workout in. I stumbled across this free 30 membership for nysc, that was online. I went and got it and used it to work out, I was like this is great. I'll use this 30 days up and then join at the end of it, I was psyched. Upon finishing the workout and leaving the sales lady that gave it to me said her manager told her to get the pass back from me. Then they had the nerve to try and sell me a membership. I'm glad I got to see the services of nysc before I joined and they really did me a favor. Please look into another gym they have so many complaints filed on them. My kids signed me up last Father's day (June 2015) for one year membership at NYSC, Ardsley, New York. At that time promotion was you could bring along a guest anytime during the year membership cycle, for free. Since Father's Day of last year I've been working out together at the club 2-4 times a week together with my wife. It's been great on many levels, and I thank NYSC for that membership package. Yesterday (1/18) when I went to the gym I was told that starting on Feb 1, 2016, I will no longer be able to bring a guest for free, but any guest of mine will have to pay for access to the club. The host at the check in counter said there was nothing the Ardsley NYSC could do to help me out with this, as the decision to go back on the original agreement made last June was driven by NYSC corporate headquarters. I was surprised and upset at that news. I am very disappointed with what is now happening to my membership status, most especially that I will no longer be able to have my wife come along so we can work out together. It's not so much about the money.... I wonder how it is that a company can sell you a package program for a year and then change the terms and conditions six months into to program?(!) I'm not feeling too good right now about NYSC-really. Not sure what I'm gonna do, but it's not looking to go for NYSC right now, in my book. I'm very look how I emphasize very) disappointed in NYSC, because I had signed up for the 30 dollars a month,which includes me inviting any guess as much as I wanted. Now all of a sudden your associates tell me that, I can not bring the same guest. I have to bring different guest each time, I come to the gym. First of All that is not what I signed up for, I go to the gym with my friends to get motivated. So for you guys to take that away from me last minute is very uncalled for. Secondly, it's not free because technically speaking the 10 dollar extra that I pay for them, so how are they for free? New York Sports Club certainly don't make any sense. So now that I don't know different people my money is going to waste, I'm very mad and thinking about canceling my membership and you guys will certainly lose money because of this situation. Thirdly I'm losing my money because I payed for a guest to come with me, so I'm asking you to fix this problem for me. I have been working out in New York Sports Club since more than 6 months now and I feel amazingly good. My overall stress levels have come down. I have put down weight and feel fit. I have signed in for membership as I feel that since I planned to work out through out, I must take it. They have been very patiently helping me out in my overall health and fitness regime. I trainer has been a very encouraging guy who never made me feel low on the result. He kept constantly motivating me on my work outs. I must say NYSC is doing a good job. I personally would like to recommend this to all and give an A+ to it overall. 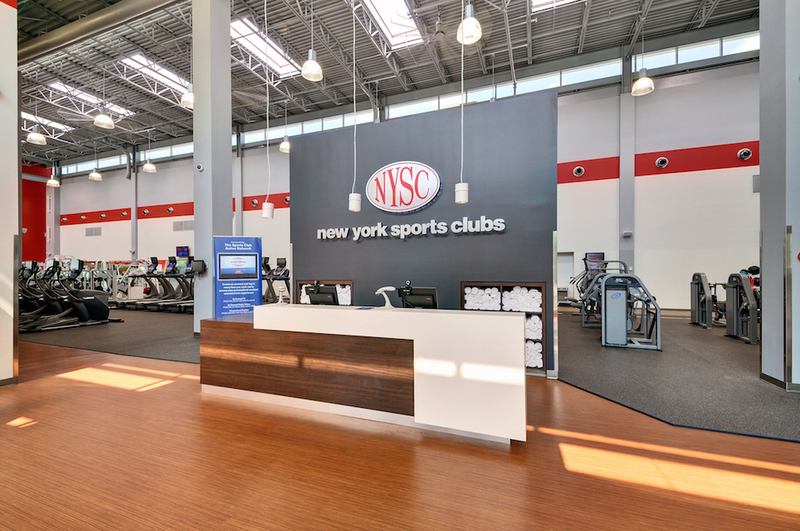 Have feedback for NY Sports Club?